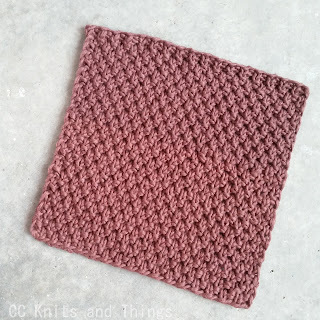 I love how these two textured cloths turned out so I would like to share the pattern if anybody else wants to make some nice knitted cloths. I made mine for kitchen use, but they would work well for personal use also. It's a great idea for a last minute gift, they knit up in a couple of hours. I don't think I will buy cloths ever again, these home made ones are so much better and prettier too! The correct names for the stitch patterns vary depending on source and possibly by UK and US terms. 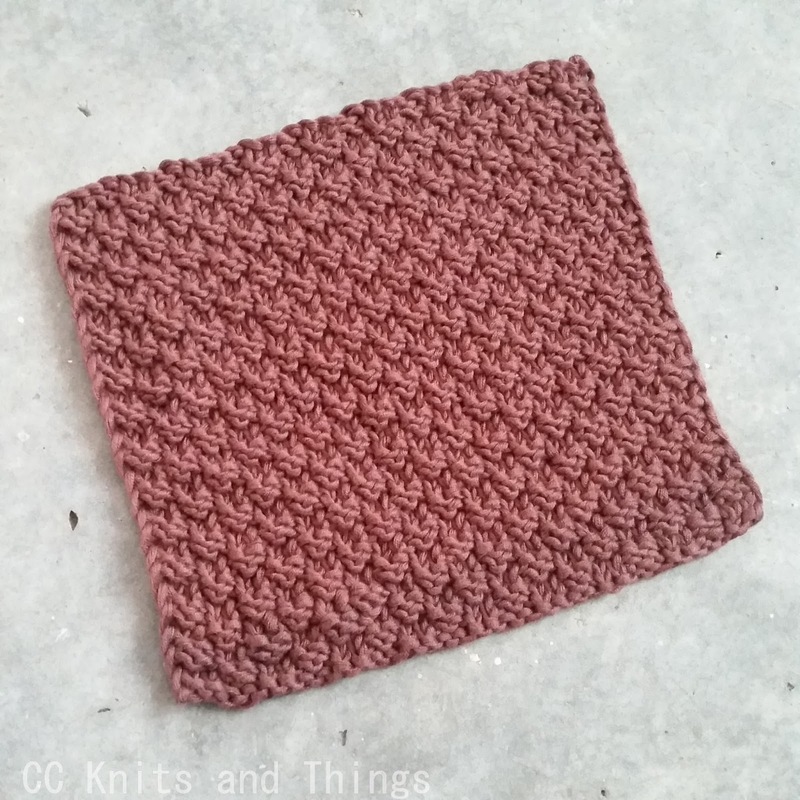 I choose to call one moss stitch and the other double seed stitch. 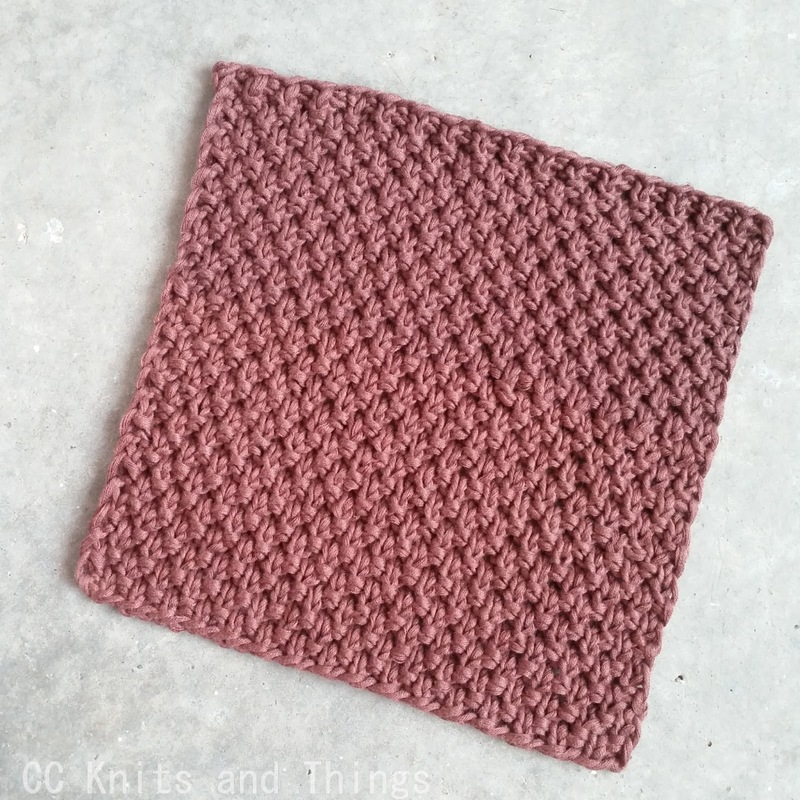 Moss stitch is basically seed stitch elongated over two rows rather than one, it is sometimes referred to as double seed stitch. 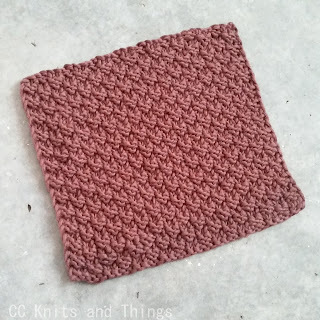 What I refer to as double seed stitch is seed stitch on a larger scale, instead of k1, p1 repeats over one row, it uses k2, p2 repeats over two rows, this stitch pattern is sometimes referred to as box stitch. Confused? No worries, just look at the photos and descriptions below and pick your favourite! Gauge: about 17 stitches per 10 cm (4 in) after blocking. The gauge will determine the width of the cloth. Slight variation is no big deal, it only means the cloth will be slightly wider or narrower. CO 37 sts (if you want to make a larger or smaller cloth, the number of CO sts must be a multiple of 2 + 1). Note: the first st of each row should be slipped with yarn held to the front (slwyif), the last st of each row should be knit (k). This will make a nice even edge. Row 1 and 4: slwyif, * k1, p1, repeat from * until 2 sts remain, k2. Row 2 and 3: slwyif, * p1, k1, repeat from * to end of row. Repeat rows 1 to 4 until cloth measures 20 cm (8 in) or until it is as long as it is wide. Finish with Row 1 just knit. On the next row, BO in pattern. Weave in ends, block or simply throw it in the washing machine. CO 36 sts (if you want to make a larger or smaller cloth, the number of CO sts must be a multiple of 4). Row 1 and 4: slwyif, * k2, p2, repeat from * until 3 sts remain, k3. Row 2 and 3: slwyif, * p2, k2, repeat from * until 3 sts remain, p2, k1.